I'm joining Kelly at An Apple for the Teacher, for her The Together Teacher book study. This is week 8 of the study, so we have learned a lot! So far, we have learned about establishing organizational systems to keep yourself together! Although it has been a struggle, I've enjoyed learning about new habits (and trying to keep them going!). Chapter 8 is all about Organizational Demons. You know, all of those things that keep you from being organized! I'm pretty good about writing things down and looking at my schedule, but where I struggle the most is forgetting to look beyond today. Sometimes, I get so overwhelmed, I can't see the forest for the trees! This chapter helped me see even more clearly that you have to get yourself unstuck, and if a task has been on your 'to-do' list for more than a month, you probably don't have 'to-do' it! I'm the worst about writing down a huge task (organize the teacher resource library) right next to a simple task (email staff about meeting). I'm also the kind of person who LOVES to check things off. 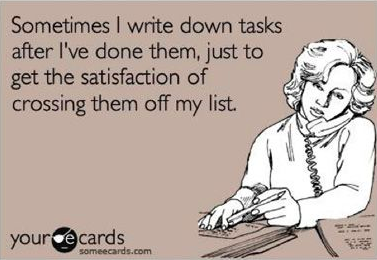 So when it is possible, I will bust out an hour of productivity to check several things off my list (and I may or may not have written things down that I already did, just to check them off). 1. Purge books that are outdated. 2. Sort books into similar categories (reading books, math books, behavior books, technology books) [this part will obviously take the longest, so I will actually probably do it by shelf or bookshelf, since we have 3 bookshelves full of books]. 3. Peruse blogs and Pinterest for new books to add to our collection (my favorite part!). Now that my task is broken down into bite-sized chunks, it isn't as overwhelming, and it will be great to get this off my long-term to-do list. The last part of this chapter was all about those five demons that get in your way: perfectionism, procrastination, temptation, distraction, over complication. Personally, temptation and over complication have never really been a problem for me. Before I had children, I was a perfectionist, and everything had to be done perfectly. Now, as long as it gets done, that's all that matters (it has to be done right, just not perfectly. And, I've learned the art of letting [some] things go). But procrastination and distraction, those are my middle names! 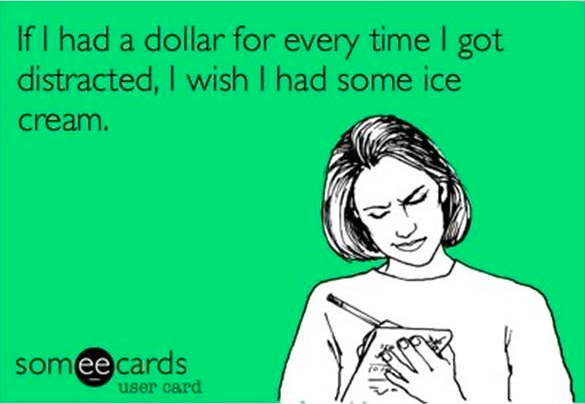 Particularly distraction. That's why I use lots of colored pens, listen to music as I work, and work on multiple projects at once. It is very hard for me to keep focus on just one thing. 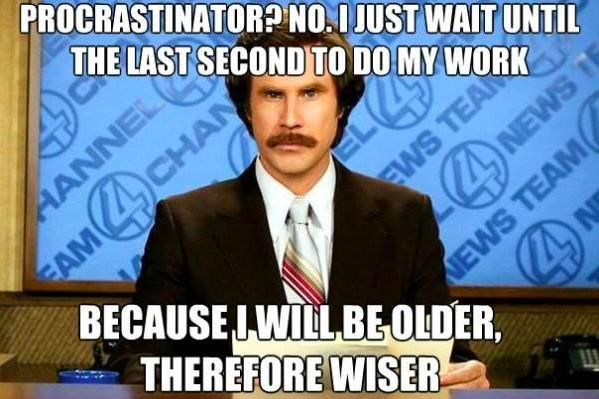 Procrastination is also something I've picked up as an adult (when I was a child, and my teacher assigned me a project due in a few weeks, I was the kid that went home and started that night!). There's only so many hours in a day, and if it doesn't HAVE to get done that day, it probably won't! So the way to battle my demons - keep it simple and stay consistent! If I just keep chipping away a little at a time, I won't get so overwhelmed with the process! Thanks to Kelly for organizing this study and helping us get this year off to an organized start!